Simon & Schuster, 9780743225304, 176pp. Brad Gooch is the author of Godtalk: Travels in Spiritual America, and the acclaimed biography of Frank O'Hara, City Poet, as well as the novels The Golden Age of Promiscuity and Scary Kisses. His poems, stories, and articles have appeared in The Nation, The Paris Review, Vanity Fair, Out, as well as many others. He lives in New York City. A must-read for all men -- gay or straight -- and the women who love them. A long overdue manual on introspection that proposes how any hopes of fulfilling outside relationships start with self-understanding nurturing. 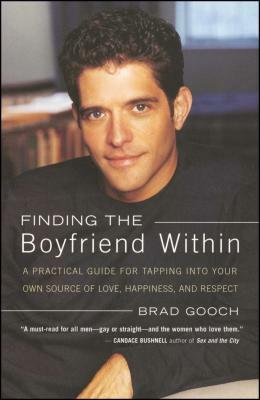 With great sensitivity, Brad Gooch addresses the mirror of relationship. This book could change many lives. That even someone like Gooch would have boyfriend problems is, on one level, no surprise to anyone who's been around, and yet ceaselessly amazing. That he has actually done something about it, as detailed herein, is unusual -- and to those in search of center, possibly helpful as well.